Despite, scoring three tries in the final 10 minutes, Italy went on to lose their 11th consecutive Six Nations game since Conor O'Shea took in charge of the side. It was Italy, who got their first points on the board when Tommaso Allan kicked a 10th minute penalty goal but the response from Scotland came shortly after when Finn Russell found Kinghorn with a crossfield kick as he dived over for the opening try. 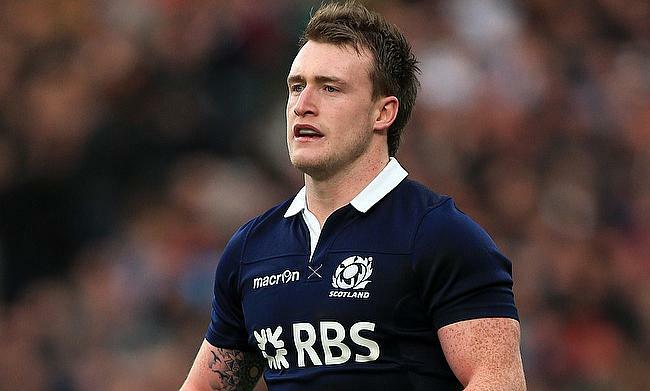 As Italy looked to attack it backfired on them as a knock-on allowed Stuart Hogg to pick up and offloaded Kinghorn for the second try at the start of the second quarter and a conversion from Greig Laidlaw helped Scotland to a nine-point lead heading into the break. Gregor Townsend's men were quick to get off the block in the second half when Hogg grabbed a grubber kick from Russell to dive over and by the 54th minute Kinghorn got his third and more importantly helped the Dark Blues to the try-bonus point. A combination of Hogg and Russell were clinical for Scotland especially in the second half of the game as they set up Scotland's fifth try that came through Chris Harris. Laidlaw kicked two second half conversions while Russell had one as Scotland extended their lead to 33-3 by the end of the third quarter. A sin-bin to Simon Berghan reduced Scotland to 14-men in the final 10 minutes and despite tries from Guglielmo Palazzani, Edoardo Padovani and Angelo Esposito, Italy succumbed to a 13 point defeat.